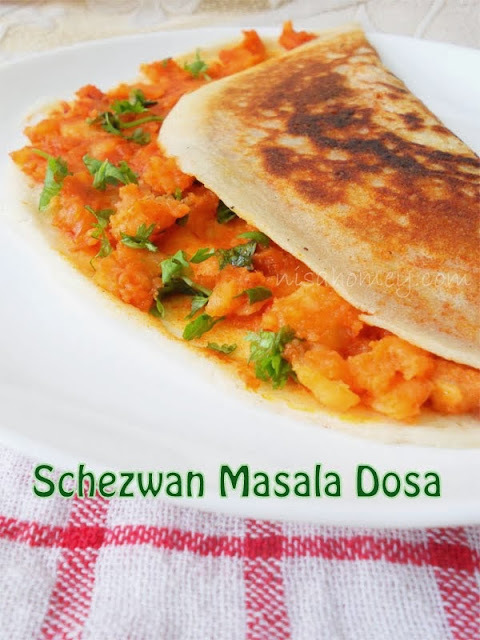 Schezwan masala dosa, is my twist to traditional masala dosa, it is simple, easy, and quick with a myriad of flavors, perfect as breakfast, dinner or even as an after school snack....kids would love this masala dosa with Chinese twist!! I love to make dosa varieties, with dosa batter; and I always make sure to stock up on dosa batter in my fridge, also dosa is one of the healthiest food and easy to make too. 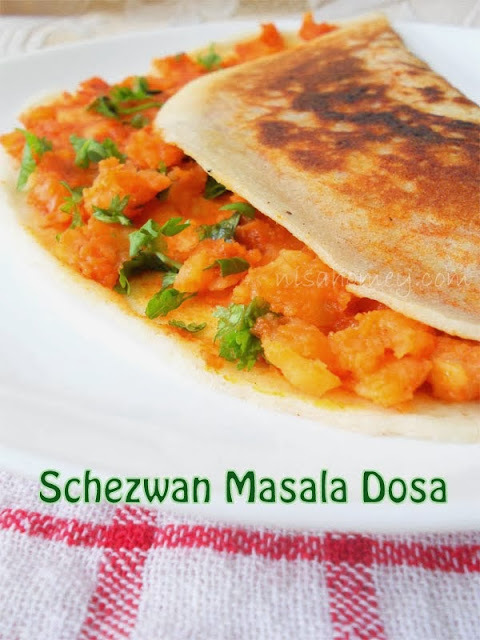 Schezwan chutney sauce is mixed with boiled and mashed potatoes and sprinkled with coriander leaves......and filled inside dosa!! so simple and easy masala dosa yet the flavor is unique! This is best served with tomato sauce. Have you tried schezwan noodles dosa yet!! 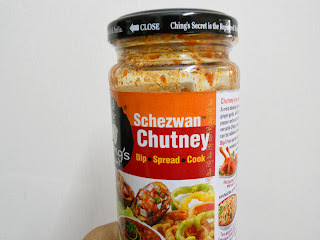 Another favorite of mine which I made with schezwan sauce. 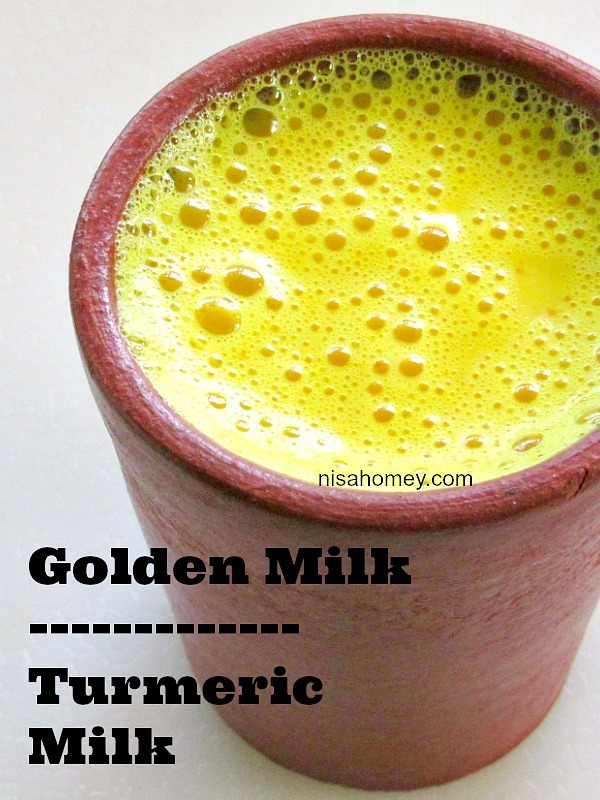 Recipe created and authored by: Nisa Homey. 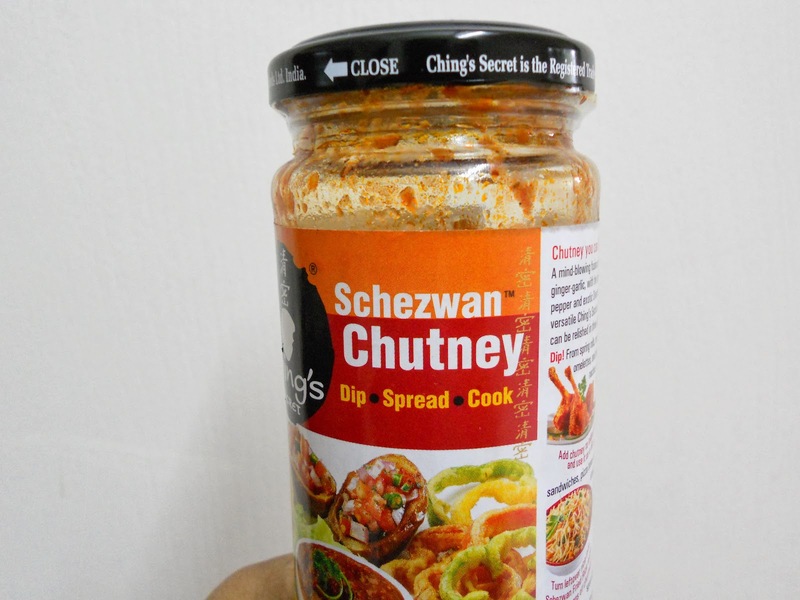 Ching's Schezwan Chutney sauce: 1 to 1-1/2 tbsp. Coriander leaves: 1 tbsp, chopped. 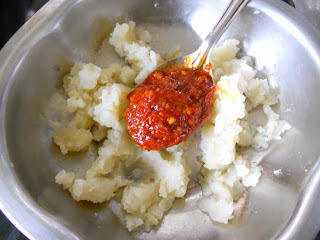 A peek into the schezwan sauce, I used in this recipe. Lightly mash the potatoes and mix in the schezwan sauce. I did not add any salt as the sauce itself is a bit salty; if you like more salt, you can add in just a bit. Heat a dosa tawa and make one dosa (if you want help with making dosa, pls click here). With the flame on low, spread the schezwan masala dosa on top of the dosa, drizzle a bit of refined oil, leave it for one min on the tawa on low flame, once the dosa is cripsy, fold, and serve. 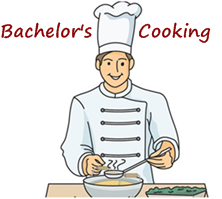 It is best served with tomato sauce. thats so easy nisa. 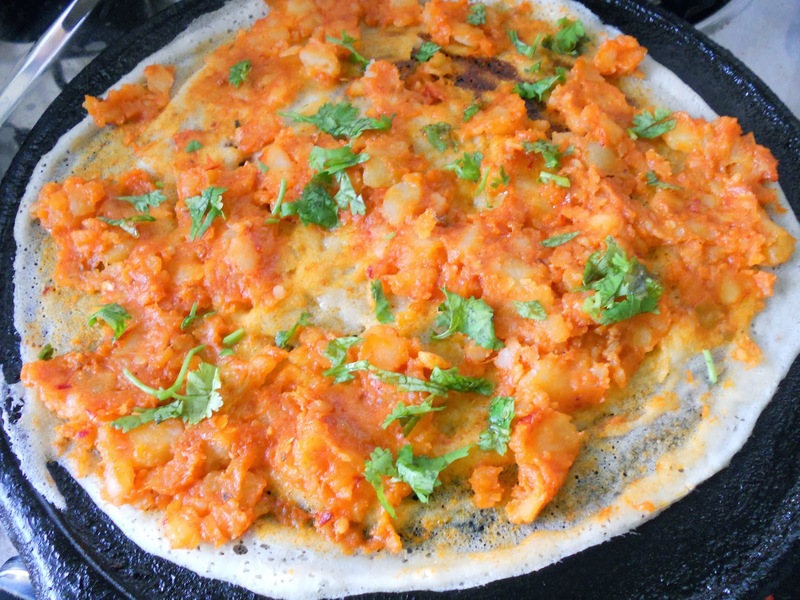 really a quick dosa recipe. Thank you dassana, it sure is super easy and quick!! This looks super duper delicious, Nisa. This is the type of dish we like to have for lunch. Bobby and I would both love this Thanks! Thanks a lot for visiting my space. Your comments, suggestions, criticism and all opinions are very much appreciated. Thank you for stopping by and have a nice day. Do Not Copy. Content Copyrighted, ©copyright 2010 - 2019 www.nisahomey.com. Powered by Blogger.